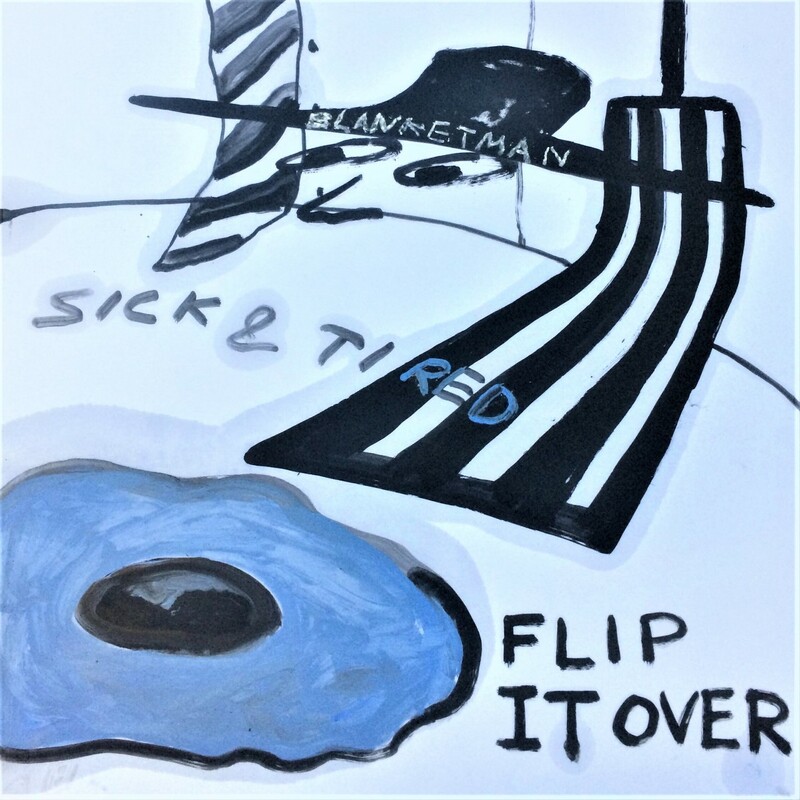 Sick & Tired and Flip It Over is the new double A-side release from Blanketman following on from their debut release The Long Arm Of Entrapment earlier in the year. Two very contrasting songs show very different sides to their sound. Sick & Tired clocks in at five and a half minutes and appears to be a resigned bullet fired in the direction of the political elite declaring "sick and tired of your views in the news, sick and tired of your face everywhere and your thousand mile stare," lamenting the fact that we've got "five more years." Musically it's very lo-fi in its approach, its aversion to polished production techniques meaning it avoids the pitfalls of many political songs in feeling like a sounding board rather than a statement. Flip It Over is a different matter, sounding closer to their debut, with a rumbustious riff running through it, Adam declaring "I believe that the earth is flat, would you doubt me if I told you that?" Again the production is very raw which allows Ellie's drums to dictate the song's quickfire pace and urgent scurrying direction. It's a refreshing change to listen to a band to whom sounding polished and shiny is an anathema. They play with Brix And The Extricated at Hebden Bridge Trades Club on November 24, support Purple Heart Parade at Manchester Night People on December 8, before headlining the Deco Promotions All Dayer at the Peer Hat on February 9 next year. Blanketman are on Facebook and Twitter.